Hi, everyone! 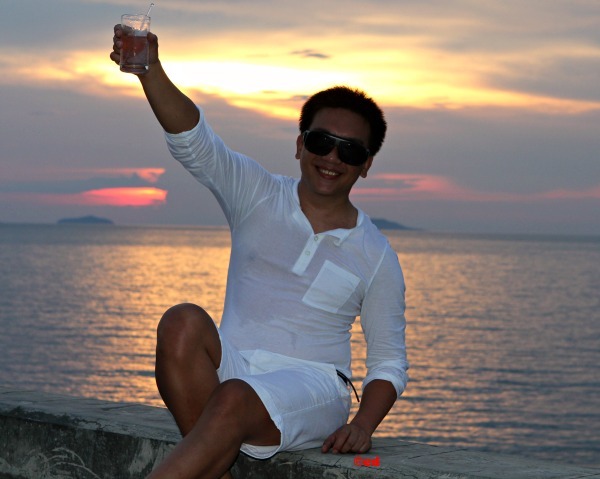 My name is Rome Diwa living in Manila, Philippines - A Food aficionado and travel ambassador wannabe. I'm a graduate of tourism but I pursue my career at IBM. I've been blogging since 2010 to enhance my skills in written communication covering everything in between my occasional travels and food explorations. This is my comeback in writing after two years of hiatus. I have merged my personal, travel, and food blog into one this time with high hopes that I would be able to update this site regularly. Follow me explore the countryside... discover the city... purchase at low cost... keep beautiful moments... brunch al fresco... lost in a song... discover exquisite beaches... entertained by great movies... amazed with fast-paced technology... share gossip... explore breathtaking landscapes... take sumptuous dinner... appreciate serene sunrise... discuss politics and governance... captivated by remarkable books... wellness and health... current events... apparel appeal.... blended refreshments... share good times.